Starting in early July, the first of almost ten cruise ships will pass through the Port of Nome. According to Lucas Stotts, Nome’s Harbormaster, this is expected to be the most cruise ships the city has ever had come through Nome waters in one summer. 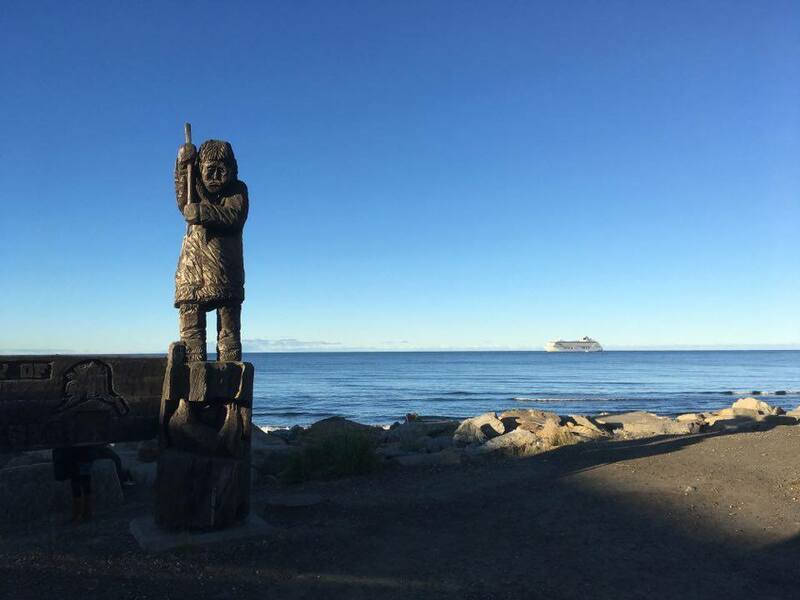 Robin Johnson of Nome Discovery Tours confirms that, so far, seven ships have booked arrangements to stop in Nome, with a few making multiple layovers through town during the cruise season. Kenia Najera is one of the spokespeople representing the travel company Hurtigruten. One of the company’s vessels, the Roald Amundsen, plans to make port in Nome at the end of its three-week journey through the Northwest Passage. The Hurtigruten vessel is expected to spend a full day in Nome with a capacity of more than 500 passengers during the month of September. Other scheduled ships include National Geographic’s Orion and the World of ResidenSea. Stotts says the port’s services to accommodate the Roald Amundsen and other cruise ships will remain the same, allowing some to dock and others to anchor outside the Nome harbor. Image at top: file photo: the cruise liner Crystal Serenity anchored offshore at Nome, 2017. Photo: Gabe Colombo, KNOM.